To check availability and get a quote click here. BTE Entertainment. Quality professional entertainers and DJs for your special event. Whether you have 20 or 200 people, we can them provide entertainment with a variety of music from 1940's to the present. With our over 25 years entertainment experience, we can make your wedding, birthday or any "special" day one for you to cherish the rest of your life. We offer DJ and Entertainment services all over New England including Boston Massachusetts, White Mountains and Seacoast New Hampshire, Portland Maine and Vermont. These are just some of the special events that a Professional Entertainer can assist you to make your occasion "The Best Time Ever". Make it the event talked about for months and years to come. 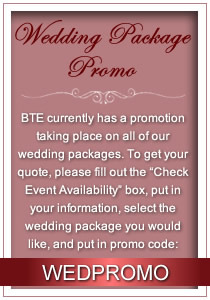 From Music, to Master of Ceremonies, BTE does it all.